Diabetes is one of the most common diseases in the U.S., affecting more than 30 million people. And while it’s often considered a lifelong condition, one form of diabetes, gestational diabetes, occurs only during pregnancy. 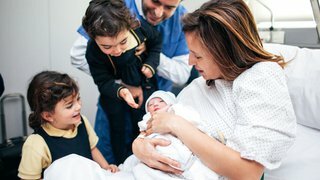 Gestational diabetes affects between 2 and 10 percent of pregnant women and occurs when the placenta, an organ that develops in the uterus during pregnancy, secretes a hormone called human placental lactogen (HPL). This hormone is important for fetal growth as it causes an increase in maternal glucose (sugar) levels that then pass to the baby. Women who are at risk for diabetes – or those whose blood sugar levels are higher than the average person prior to pregnancy – are most likely to develop gestational diabetes. This often includes women who are overweight and obese, as well as those with a strong family history of diabetes. Eating a diabetes-friendly diet is the best way for women to manage gestational diabetes and thereby reduce the danger to themselves and their babies. 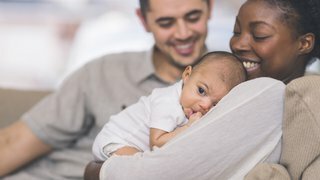 I had a patient in her early 40s who after two decades of trying to conceive, was having her first baby; she had pre-diabetes before pregnancy and developed gestational diabetes during the pregnancy, but because she diligently followed a diabetes-friendly diet, she ended up having a beautiful, healthy baby. It takes commitment, but it is very doable. Diabetes-friendly diets typically emphasize protein and avoid carbohydrates and sugar. Additionally, the American Diabetes Association recommends that women with gestational diabetes eat three small to moderate-sized meals and two to four snacks per day. Women who follow this type of dietary regimen generally experience a drop in their blood sugar levels and, ultimately, healthy deliveries. Make sure to speak to your Ob/Gyn about receiving a referral to a nutritionist to create a complete diet plan if you test positive for gestational diabetes. We ensure that patients with gestational diabetes stay consistently healthy throughout their pregnancy by having them check their blood sugar levels four times a day with a glucometer, a small blood sugar reader that provides instant results. If the diet plan isn’t helping, we might prescribe insulin medication to treat their high blood sugar. Insulin is safe and effective, and it doesn’t affect the baby’s development. There are diabetes pills as well, but their long-term effects on the baby aren’t well known. Eating a diabetes-friendly diet is the key to managing gestational diabetes. These diets typically emphasize protein and avoid carbohydrates and sugar. We typically test for gestational diabetes between 24 and 28 weeks of pregnancy, but we might check earlier in pregnancy if patients have risk factors. 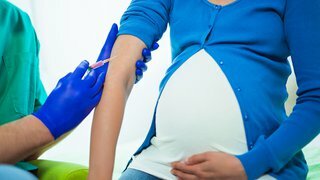 The most common technique we use to diagnose gestational diabetes is the glucose challenge test, which involves women drinking a small bottle of sugar solution and having their blood sugar checked an hour later. 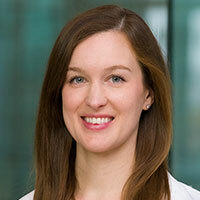 If the glucose challenge test shows high blood sugar levels, women typically undergo a three-hour glucose tolerance test, which is more intense and requires that participants fast beforehand. If the test shows high blood sugar levels, we diagnose the patient with gestational diabetes. What can happen without gestational diabetes treatment? 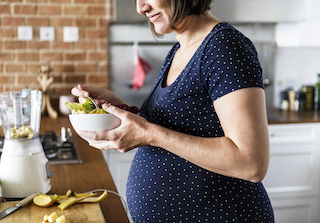 When women manage gestational diabetes with a healthy diet and medication (when it’s needed), they typically deliver their babies with no setbacks. Make sure to speak to your doctor if you have any questions pertaining to these management options. To find out whether you or a loved one might benefit from our management methods for gestational diabetes, call 214-645-8300 or request an appointment online.